Quick, easy writing and discussion prompts. Instant inspiration for all ages and abilities. 101 story starters encourage creative thinking. Inspire the most imaginative stories! Perfect for any one-on-one or group activity. Quick and easy writing and discussion prompts for all ages and ability levels. 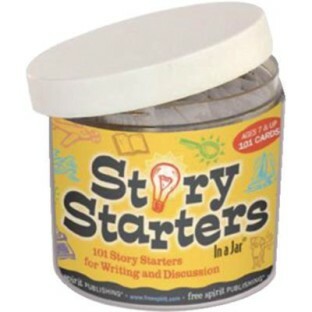 101 story starters encourage creative thinking and imaginative writing. Perfect for any one-on-one or group activity. Ages 7 and up. The game is fun and easy to play would recommend that the cards be bigger for older adults to read and play.